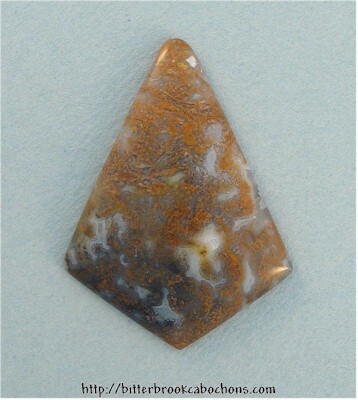 Distinctive arrowhead shape. Nice moss in a milky sea. The white spot at the top is naturally sealed. 40mm x 30mm x 5mm (sharp edge). Weight: 32.10 carats. Do you like Moss Agates? Click here to see all of the Moss Agates on the site! You are visitor number 38 to this page this year.